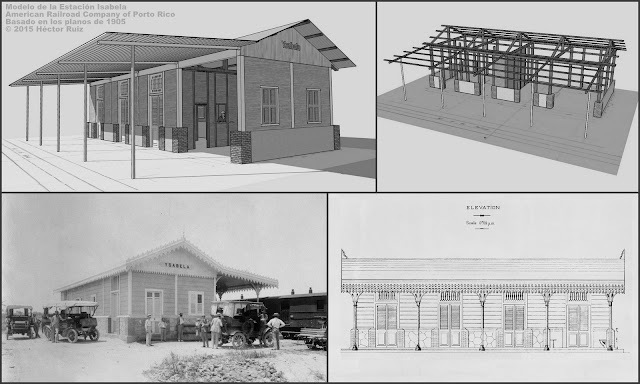 Model of the first railroad station built by the American Railroad Company of Porto Rico in the town of Isabela, Puerto Rico. The station was built ca1905. The model was built from original blueprints available at the Archivo General de Puerto Rico (Puerto Rico National Archives). More information about this project (in Spanish) is available in our page (In Spanish).